Sold by Books Punch (4.2 out of 5 stars | 23 ratings). He clutched the sink, caught a brief glimpse of himself in the mirror, before his hands slipped and he crumpled to the floor. As he lay there, willing himself to get up, his body struggled valiantly in a last-ditch attempt to hold on to life. When Ugrasen, the domineering patriarch of a big family, drops dead at No. 22 Sainik Farms, the entire household is plunged into horror and confusion. While his wife and three sons reel under the shock, his fourteen-year-old niece, Anjali, becomes aware that something is amiss. The word suicide begins to be mumbled behind closed doors, but a missing bag of rubies hints otherwise. Anjali sets out to unravel the truth behind her uncle's death, enlisting the help of private investigator, Ganapati Iyer. The inimitable Ganapati forms an unlikely partnership with a man called Vinayak, a collaboration which is both odd and comic. However, will it be successful? Rukmini Anandani has been a mathematician, an accountant, a journalist, a photographer and an activist. As a journalist, she has worked with the Bangkok Post, India Today, The Sunday Mail and The Indian Express. Her freelance photographs have appeared in many publications including The Illustrated Weekly and The Week. Her first short story, 'Wanted: A Wife' was published in The Patriot. She has lived in many places, including Beirut, Bristol and Ethiopia. She currently lives in Delhi. 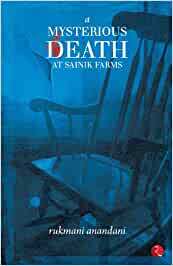 Start reading A Mysterious Death at Sainik Farms on your Kindle in under a minute. Neat and clean book.Good suspense. Even kids/teens can read. Very simple language. 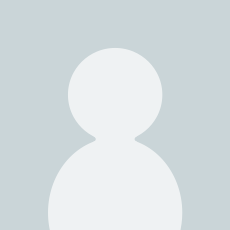 Ugrasen is murdered at Sainik Farms residence, the case is brought to the notice of detective Ganapati Iyer by the deceased's niece Anjali, who suspects some sort of foul play. Ganapati accompanied by his friend and flat mate Vinayak reaches the crime scene to find a bunch family members who may be privy to lot more information than what they are letting on. Here on, its a cat and mouse game to find the killer and solve the mystery shrouding the death of Ugrasen. Ugrasen is a successful man and demands that his children meet his ideals of success. He is also domineering and rather stubborn, believing that he knows what is best for his adult children and is constantly pressuring them to do as he demands. This sets up the mystery rather nicely since he has ruffled quite a few feathers and caused his family to be frustrated with his high-handedness. Unlike most Indian mystery novels, this one relies more on observations rather than interrogations and hence, make the material less verbose.The writing at times appears contrived (She' from the Lucknow branch of my mother's family). The mystery, however is not tight and it is quite likely that you will be able to guess the killer much before the climax. The number of characters pile up and almost all of them come under scanner for being accused of murder. The relationship specially that of Ugrasen and his wife borders on soap-opera melodrama and his relationship with a nubile assistant is stretched beyond means. There are interesting portions which keeps you glued though the journey does get bumpy. The detailing of the house and their personal lives is done at length and takes you to the center of action. The fact that murder investigation is triggered by an adolescent girl is cute in itself though lends less credence. 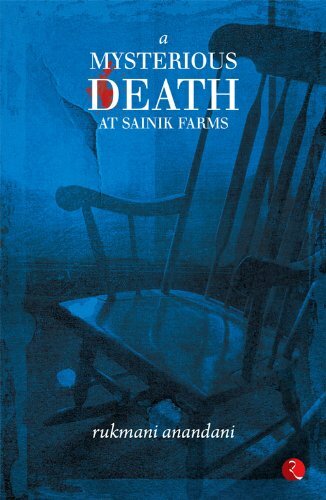 I am going with generous 3/5 for Rukmani Anandani's 'A Mysterious death at Sainik Farms'. It is not the best murder mystery you will read this year, but it keeps you just that bit interested. With more interesting central protagonist detective, this book could have been a more rewarding read. In its present form, its a one time read.